Is God in the Office?? I work in a world that is driven by grant dollars (there are never enough), political games ( there are always to many) and enough curve balls thrown at us we need to take up residence in a baseball stadium. It is very easy to get sucked up into the notion that ” since I work in such worldly conditions” it is ok to conduct our professional lives in a worldly fashion. But you know what? God lives there too. He is not just in our lives on Sunday morning in that pew, or in our home situation when we have our Bible open. A Christian existence is not dictated by a time clock. Whether we are clocked in or not, the way we conduct ourselves matters. While it is true that I am responsible for whether my organization lives or dies by the decisions I make, I still have to make those decisions in an ethical and moral fashion that follows what I know to be true of God. We might make more money by doing business on the shady side. We might take an easier road because we are to lazy to take the right one. We might feel like retaliation is the only goal. Sometimes you have to do what is right, even when it makes no sense, just because it’s the right thing to do. Let God work out the details. If He is nudging you in a certain direction at your job, he does not discriminate, listen to Him there too. It’s the right thing to do. In the end, God is still in control. If God is in your life He needs to be in your whole life, not just the parts you want to share. God gets the whole you and your whole world or nothing. It’s the right thing to do. Why me? God…………where did you get the idea my shoulders are SO big? Days turn into weeks that turn into months that turn into the roughest year you have ever lived through. We love to whine, we love to dig into our misery and we are pretty good at letting a moment of discontent become a way of life. Don’t get me wrong, I know that at times life can absolutely reek. There are days you wonder if you can do this one more minute. It is a wonderful thing when we can step back and realize that a satisfying, rich and fulfilling life is really nothing like our society defines it. Who do you know that is rich and miserable, smart, popular and good looking and still feels empty and alone? Many roads to satisfaction are full of detours as we try to find understanding of what true happiness really is. Somehow we get the notion that true happiness is only possible if all areas of our lives line up with some pre-conceived notion that society has told us is the correct formula. So we go back to the list of our lives, maybe if we look at it again we will find the feeling of contentment that eludes us. We check off money, career, family, friends, no conflicts, no anxiety………….until we get to the bottom of our list and although on paper it appears we have it all, we are still searching for something to fill that void inside us. Your road will continue to be marked with detours and your list will be never ending until we realize that we are trying to define a truly happy life apart from God, there is no such thing. Oh sure you can be happy without God, for a while. Happiness will continue to play hide and seek with us when the definition we use is actually scripted by the devil. Finding true happiness involves looking in the right places, or maybe it just means opening our eyes to see what has been in front of us the whole time. There is a reason there have been more songs written about him than any other, more books written about him than any other. There is a reason that life apart from God is no life at all. Our God, He really is an Awesome God. This Spiritual Warfare stuff has had me thinking for the last week or so and you know me, when I get going on something I beat it to death, or at least research it until I feel comfortable in my spirit that I have found what God was trying to show me. Then of course…………..I write about it. I am going to warn you right now, this is going to be longer than what I usually write but then again, this is a very important and relevant to our times, subject. I should also apologize in advance if I offend anyone, but once again I am going to say what God is laying on my heart. Let’s start with an interesting fact I read about this morning. I read that between 3600 B.C. and now there have been over 14,000 wars fought. During that time there were over 5,300 years of war and only 292 years of peace. It becomes more evident every day that we live in a world where violence, war, disease, and oppression are commonplace and always have been. You would not think that it could happen in a modern world but Open Doors Ministry says that last year alone over 2,000 Christians were killed for their faith. Churches are relentlessly and consistently being attacked and Ebola is savagely rampaging through the land. Unfortunately this is nothing new and the Bible tells us that Jesus predicted just that. “And ye shall hear of wars and rumors of wars. … For nation shall rise against nation, and kingdom against kingdom.” Matthew 24:6, 7. It is a classic and cosmic clash between the forces of good and evil and guess what, like it or not, we as Christians are fighting on the front line. I think that the scary thing for me, and probably most of us if we are honest, is that this is a battle where we usually can’t see the opponent clearly. What or who we think is causing us trouble is only the effect of what is going on in the spiritual realm. According to scripture, our battle is “against the rulers, powers and world forces of wickedness located in the spiritual realm. That is a deadly serious statement. So like I wrote not too long ago. Whatever is going on in your physical world, in the world you can see, that action is rooted and started in the invisible, spiritual realm. Make no mistake however, the fact that this battle rages in the spiritual realm does not make it any less real or less capable of destruction and calamity. I think an important point to remember (maybe the only point to consider really) is that this intense spiritual struggle isn’t waged to gain land or diamonds or gold, it is waged to gain human hearts. It is a no holds barred, down and dirty fight for your soul. It would seem we need extraordinary weapons to fight this epic war, the best money can buy. Weapons that only the brilliant scientists and military experts can come up with. We are quick to go out and buy the latest gadgets, often emptying our bank accounts but more importantly putting our faith in weapons that are not going to win this war for us. No weapon made on this earth, no matter the cost, is the kind of weapon that the Bible tells us will win this war. There is only one kind of weapon that will gain us victory in a war fought in the spiritual realm and that is armor and weapons that are also spiritual. You might as well be fighting defenseless or with plastic guns if you are fighting the prince of darkness with anything from this world. But wait a minute, there is more to this. As we are so fond of doing, we can’t pick and choose which armor we put on, scripture tells us it has to be the armor of God. However, if you look at Ephesians 6:10-11 more closely it tells you exactly what you need to clothe yourself in to fight the devil’s schemes. We need to put on the FULL armor of God, or as other versions say, the WHOLE armor of God. It repeats that directive in verse 13. It doesn’t say, put on the belt and breastplate because that is the most fashionable at the moment or only the shield of faith and helmet of salvation because you happen to look good in helmets, prayer alone doesn’t cut it, nor does wielding only the sword. Nope, we are to dress in full gear, our war gear is to be comprised of the Belt of Truth, the Breastplate of Righteousness, the Shield of Faith, the Helmet of Salvation, your gospel shoes, the Sword of the Spirit (Word of God) and prayer in the Spirit. I apologize to you in advance if what I say next offends you or if you find it politically incorrect. But I am going to say it anyway. We can’t win this battle by lowering our standards to earthly standards, God’s standards are never moving, never changing and the only standards that will win this battle we are in. Maybe it is time to quit discussing the armor that God has given us and start using it. In addition to the promise of giving us all the armor we need to win this battle, God gives us the answer to the question we are all asking ourselves right now…………how in the world can I stand up to the prince of darkness, how can I fight when the devil wouldn’t know a fair fight if it hit him in the face? 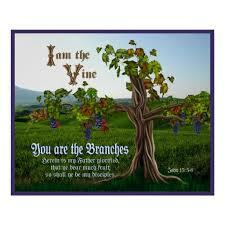 John 15:5……………..I am the vine, you are the branches, If you remain in me and I in you, you will bear much fruit; apart from me you can do nothing. We take months to plan the perfect vacation. We spend hours and hours to research the best routes, the most comfortable motels and the tastiest restaurants. All this to have the vacation of our lives. We spend hours pouring over the latest home interior magazines, paint swatches and drag our significant other to store after store when we re-decorate our homes so we get it just right. Heck on a less grand scale when we eat out we have to decide first what kind of food we are wanting then we take many precious moments going over the menu so that we are sure to order exactly what we are craving. In other words, we take a lot of time out of our busy lives to plan for the things that have meaning to us and can make our world a little better, a little more comfortable and a little showier. It feels like time well spent. Then there are the times we are sitting in the Dr’s office and we get bad news, or we are sitting in our office and our work world feels like a hostile and evil battlefield. What about when our children are following every worldly path except the one we want them to follow, or when our spouse leaves us for greener pastures? There are times in our lives when silence is the only sound and fear and despair are so thick and fluid that it creeps into every open crevice available. Those are the times that you cannot think straight and you have to rely on the truths hidden in your heart that are automatic and come to the surface unbidden. Those are the times I come to understand fully that it matters a great deal what I spend my time doing and what I hide in my heart. All the travel magazines, interior design material, recipes and menus I spend so much time on are not going to help me much when the real battles between light and dark press close. Unfortunately we are guaranteed those hard times, life is going to be life and bad things do happen to good people. There will seem at times, to be no escape and the light seems to grow dimmer and dimmer until finally it is only a flicker. The key to making it through these times I truly believe is to be stronger on the inside than the problems facing us on the outside. Do we make sure the words and promises of God are familiar and comfortable? Are those promises resting in our heart and are we letting those promises get us through that which is plaguing us? Do you live in the truth that God really is our refuge and our strength or is it only a vague promise to you? God can give us peace, hope and gladness, NO MATTER what is swirling around us. Are we keeping our eyes on the Lord our God and only the Lord our God? But to have that we must make the commitment to be in the Word of God daily, we must choose the foundation on which we build our lives. Just like planning a killer vacation, or decorating an award winning home, living with the peace of God takes work, planning, determination and diligence. However, unlike the temporal vacation or earthly home, the rewards we reap from the work we put into our relationship with God are forever. 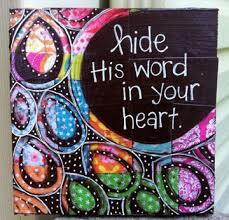 There is no storm strong enough to erode the Word of God once firmly planted in our hearts. Spiritual Warfare, like so many other things I think Satan works overtime to keep us from taking the magnitude of this seriously. Have you ever stopped to think that although this cosmic conflict is raging in the invisible spiritual realm it is given earthly details and becomes personal as it is played out here in the visible realm? In other words, although the roots of the war is played out in the invisible spiritual realm and you cannot see it, the effects of the war are all too often clearly evident. Let me back up a minute however. Let’s look at Ephesians 6:10-12. We are all familiar with it, but let’s look again. Particularly verse 12. 10 Finally, be strong in the Lord and in his mighty power. 11 Put on the full armor of God, so that you can take your stand against the devil’s schemes. 12 For our struggle is not against flesh and blood, but against the rulers, against the authorities, against the powers of this dark world and against the spiritual forces of evil in the heavenly realms. So it isn’t about our neighbor, our co-worker, our family, and our spouse, our health, or anybody or anything on this earth actually. Humans are simply the conduits of the battle raging in the spiritual realm. If I am reading this and understanding it correctly, if it is going on in your physical, visible realm, it is rooted in the spiritual, invisible realm. It could be that we are fighting the wrong battle? 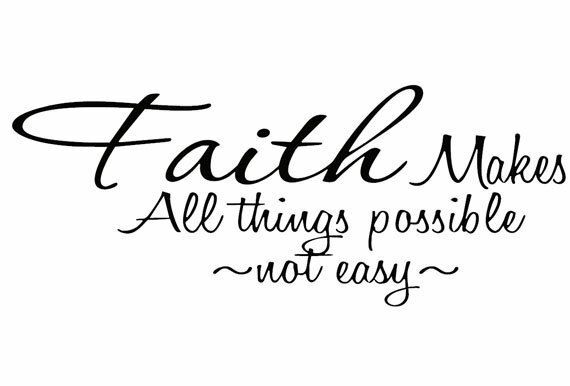 No matter how hard we try or what we try, if we do not know how to navigate and connect with the spiritual realm and the help we can find there, we are not going to win this battle. If we try to fix our problems with worldly solutions it is not going to work for long. Sooooooo, everything God is ever going to do for us, every spiritual blessing, every promise, every gift, every hope is already deposited in the heavenly realm and is waiting with our name on it. If it is waiting in the heavenly realm means it is eternal and not temporal because they are from Christ’s spiritual realm and not this very temporary earthly realm in which we live. Satan would have us believe this is not so. Oh praise God for His wisdom, not only are our blessings waiting for us with our names written on them, but guess what, Jesus is waiting there also. So when we get bogged down in the fight, when we are too tired to go on and feel there is no winning this war, grab onto the little package with your name on it. Unwrap it and live it. Biker Church, is there a more natural place to hear a testimony about a journey? In this case however, it wasn’t a road trip so much as a journey of Biblical knowledge from the head to the heart. Thank you Hoby Bruhn for giving me food for thought. We as bikers have all been on long journeys but perhaps the longest journey of all is the journey we take when the facts about God, his character and his Word go from our head to our heart. We must be careful however not to pit heart knowledge against head knowledge because without one the other is impossible. We need to keep growing in knowledge and allow that head knowledge to change us and the way we live. There is certainly a difference between knowing about Christ in your head and feeling Him in your heart. That difference is indicated by how we live our lives. To have “head” knowledge of Christ and what He did for us does not equal having a relationship with Him. To have a successful, meaningful and fruitful relationship with Christ is a lot like having a marital relationship. That union is not going to grow and prosper if you don’t put time and effort into making sure it does so. When you neglect your earthly relationship it falls apart, why would we think our relationship with God would be any different? We are much more likely to be close to those we spent the most time with. I don’t know about you but I think that should probably be the one who created us! Ever notice how tombstones have the date recorded like this 1947-2025? When it is all said and done it seems our lives come down to what we did with the dash between the year we were born and the year we died. If we are Christians our lives are usually divided into pre born again and post born again, but seriously………..how different are the two areas? Do we really live like we are children of the most High and heir to the one and only I AM? There are certain things that we as Christians are to do that signify we are living the Christian life. The Bible gives us answers to any situation we might find ourselves in, all we have to do it open it and read it. How often however, do we put it aside and say I’ll get to it later. I often say that prayer is the most underrated and underused weapon we have. We have a direct line to talk with God, to thank Him, confess to him, to take our needs to Him. How often do you tell someone that you certainly will pray for them…………..and then don’t? How often do you feel the pull to pray about something……………and then don’t? When we choose to follow Christ and have taken Him into our hearts we are given someone to teach us, guide us, and strengthen us. The Holy Spirit is our willing and ready companion, if we choose to let Him. How often is it easier to do just about anything else on a Sunday than attend church? How often do we serve ourselves instead of others? Do you doubt and worry? When was the last time you shared the love of Christ with someone? Oh it is so easy to slide through the dash years and barely let our Christianity show. We spend a lot of time pursuing the good life but do we expend the same energy pursuing the Godly life? I think that it is good to remember that living the Christian life isn’t difficult, it is impossible—without the power of the Holy Spirit. So in the long years of the dash in our lives, don’t give up, and don’t try to do things in your own strength. You don’t have enough strength to do it. Remember you have the power and abundance of God right there to help you.